I have seen it many times over the last several years where a company decides to do a full site re-design and includes an SEO setup, but does not invest in ongoing SEO management after the site launch. SEO is not an effective tactic when it’s only addressed once every couple years. Search engine algorithms change, search behavior changes, and the site’s content changes over time. If a website does not keep up with the ever-changing search world, that initial optimization will become ineffective after a few months. Just because a new site design and architecture is launched with SEO in place doesn’t mean you will see results. In many cases, a newly re-designed site will either see an increase or decrease in traffic over the first couple months after the launch. First and foremost, there is usually a loss in page authority – especially if URLs are changed and redirected. Don’t worry about the loss because the site will regain that authority within a few months. A full site re-design is also a major change, and it’s impossible to know if the updates to the SEO are the most optimal way of writing content and optimizing for keywords. There needs to be several adjustments to the SEO strategy over the first several months after a re-design. Search engines need to re-weigh pages for keyword relevancy after a major change happens. This means you will gain some and you will lose some rankings. The new architecture may also involve eliminating some pages that were ranking for important keywords. You need to have the SEO management in place to determine if new content should be created or shifts in the keyword strategy are needed to re-gain lost rankings. Search engines, especially Google, make numerous algorithm changes throughout the year – a few are major, most are minor. In fact, in the last year, Google made 890 changes to their algorithm. You need to make constant adjustments to the SEO strategy to continuously conform to these algorithm changes. I’ve been doing SEO for several years now, and every year my strategies are about 25-50% different than they were the previous year because strategies that worked a year ago may not work now. There are only a few SEO factors that see little to no change over time. A good SEO professional will also be skilled in forecasting the direction search will go over the next 6-12 months, and adjust the strategies to conform to what will work in the near future. Back in mid-late 2013, Google launched a brand new algorithm called Hummingbird, which was a revolutionary algorithm that affected 90% of search queries. I forecasted a year in advance that Google was going to make a shift to natural language search, so I began making adjustments to SEO strategies ahead of time. Once Hummingbird became a reality, I saw major increases in search performance. You need to optimize for both the present and the future, which is not possible if you do not continuously manage your SEO programs. As technology evolves, internet and technology penetration increases, and users become more technology-literate, search behavior patterns of users changes. A few years ago, most people were using short-tail search queries. Today, people are using extra long-tail search queries that mimmick patterns of natural language. 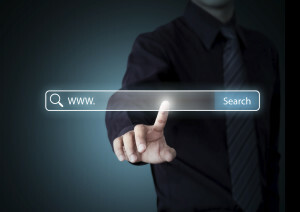 In fact, there are billions of new, unique search queries every day on terms that nobody has ever search on. This is due to the evolution of technology and internet literacy. If you are still stuck in the short-tail optimization world, you are missing out on a lot of traffic and conversion opportunities. Over time, the content on your website will change. Maybe you offer new products or services, go through a re-branding, change the dynamics of your business, or maintain an active company blog. Either way, your content will change over time. As that content changes, it will effect your SEO performance. You need to optimize your content as it changes so you can leverage your content to its fullest potential. Is your SEO strategy not working for you? We can help! Learn more about our search engine optimization services here.